On Tuesday, Feb. 5, Pink received her star on the Hollywood Walk of Fame. It was a big moment for the musician, who celebrated the occasion with her adorable family by her side. 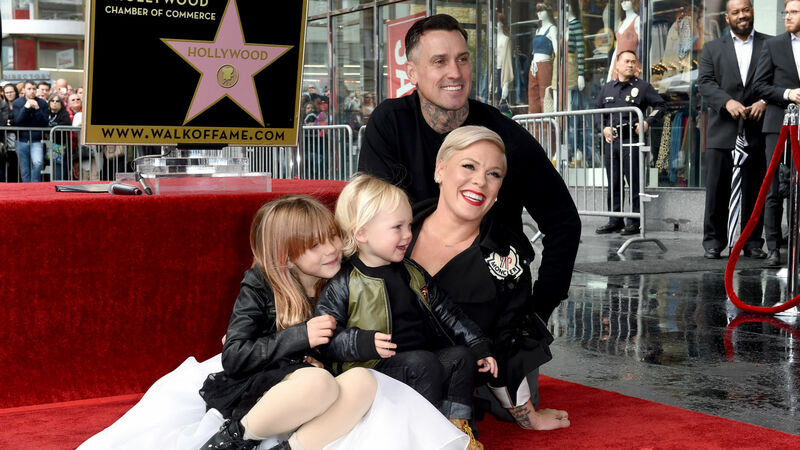 Pink’s husband, Carey Hart, and their two children, Willow Sage and Jameson Moon, were of course in attendance. Her three loves made the ceremony all that more special for the artist, as Pink proudly declared during her speech. She didn’t stop there, but continued praising her family, specifically her partner in life and their two beautiful kids. The “What About Us” artist went onto quote an important lesson her father once taught her, “To thine own self be true.” She credits those words to her success, working hard and always believing in herself. Pink certainly didn’t give up on herself or her passion for music. She worked so hard and now has a star on the Hollywood Walk of Fame. Plus, she’s lucky enough to celebrate the momentous occasion with the most important people in her life — her family.